The End of Everything is a real page turner – I read it in one sitting. It’s Alice Sebold’s The Lovely Bones meets Craig Silvey’s Jasper Jones. Lizzie and Evie are 13 years old, neighbours and best friends. They’re inseparable – until one day Evie goes missing and Lizzie discovers that things aren’t always quite what they seem. Be warned – this book’s subject matter is dark and disturbing. I felt uncomfortable with certain elements of the story and Abbott’s intentions gave me a sense of unease. Despite being narrated by a 13 year-old girl, this is a book for adults, not for teens. 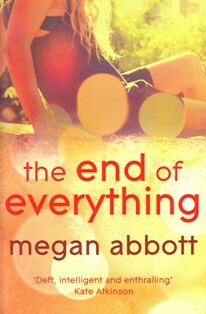 Would you like to read The End of Everything by Megan Abbott?